Lotus and Pie: Something old, something new, something ripped?? Something old, something new, something ripped?? 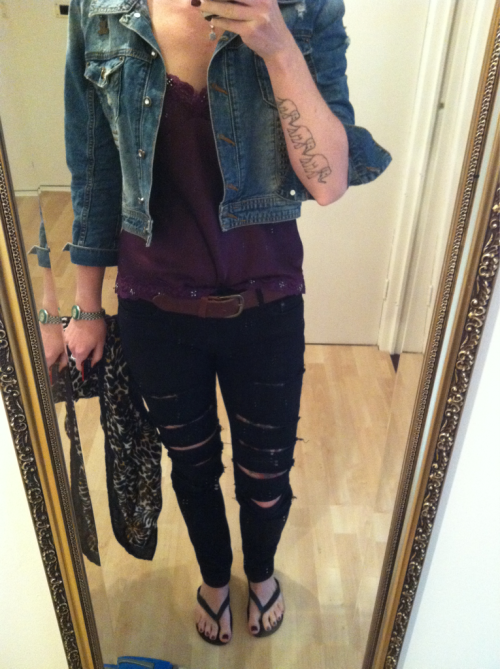 Today’s outfit. Grab jeans I ripped myself years ago. H&M brown belt. Target Australia cami from about 10 years ago. Red or Dead denim jacket. Leopard scarf. Nothing special at all.